Multi-sport competition race for 3 athletes or individual, non-competitive, in which the competitors will have to travel in the order a race trial on snowy trails, one for mountain bike and one for alpine skiing. 3 races: running (trail, snow, mines) for 7.5 km; mountain bike for 6 km (with your personal bike – in case of ice or ice the trail could be changed); alpine skiing for 6 km. 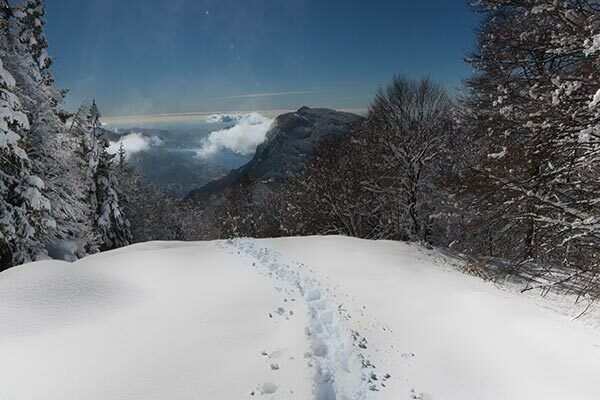 All the activities are made at Piani dei Resinelli, in Valsassina, 10 minutes from Lecco. The race starts at 02.30 from the Resinelli Mines; the subscriptions will be open at the beginning of December (individuals or groups).